Merriam Press World War 2 Album WA2. First eBook Edition, 2015. Pictorial history of one of the most versatile aircraft of World War II. 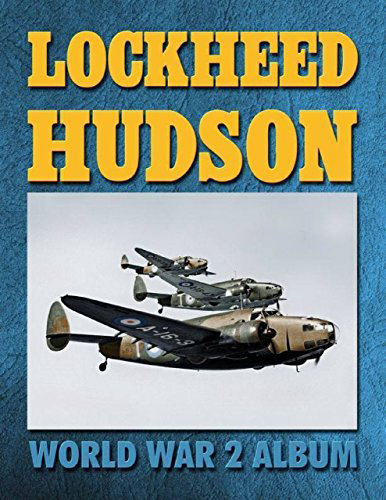 The Lockheed Hudson was an American-built light bomber and coastal reconnaissance aircraft built initially for the Royal Air Force shortly before the outbreak of the Second World War and primarily operated by the RAF thereafter. They were also used extensively with the Royal Canadian Air Force's anti-submarine squadrons, as well as with the Royal Australian and New Zealand Air Forces in the Pacific, and with the USAAF and the US Navy in a variety of roles. 339 photos, illustrations and drawings.